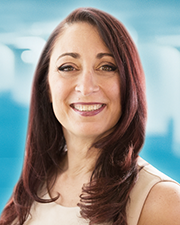 Mount Sinai, NY On March 8th, after 23 years in the industry, Lori Anne De Iulio Casdia, marketing and public relations strategist has launched PTP Consultants (PTP), a marketing and public relations firm. PTP Consultants offers a full spectrum of integrated marketing and public relations, specializing in strategic planning, marketing audits, preparation, and target marketing for products, people or businesses with powerful results. PTP will be your OFF-SITE marketing department for a fraction of the cost. While you focus on your expertise we provide you ours. PTP will manage and help you balance your owned, paid and earned Marketing tools; maximizing your marketing budget, successfully achieving your marketing goals. PTP’s deliverables range from complete marketing strategy, visioning and messaging to brand building, collateral development, website, social media, media relations campaigns, direct and internet digital marketing, crisis planning and management, employee and management communications, speaking engagements and presentations.